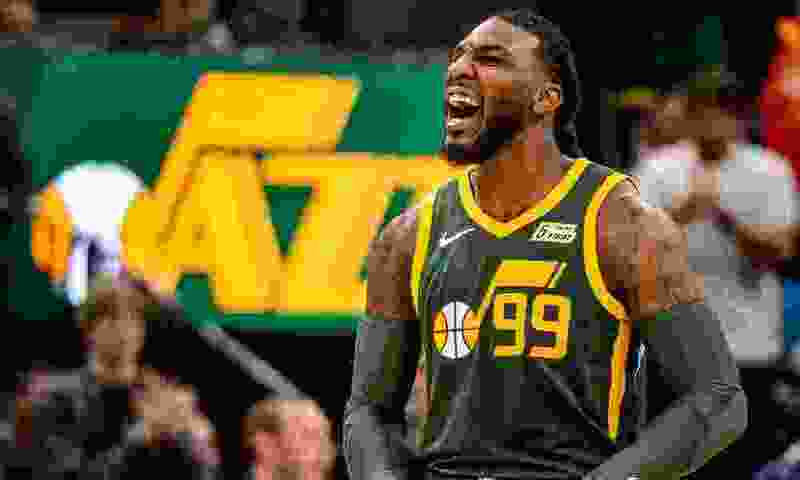 (Trent Nelson | The Salt Lake Tribune) Utah Jazz forward Jae Crowder (99) celebrates as the Utah Jazz host the Denver Nuggets, NBA basketball in Salt Lake City on Wednesday Jan. 23, 2019. The Weekly Run is a Salt Lake Tribune newsletter on the Utah Jazz. Subscribe here. Jae Crowder knows what it’s like to be traded. After all, he’s been dealt from Dallas to Boston. And from Boston to Cleveland. And from Cleveland to Utah. The Jazz are reportedly being aggressive in pursuing potential deals, which can be a distraction for those whose names show up in the rumored trades. Crowder’s advice? It’s ultimately not up to you whether you get traded or not, so stay away from social media as much as possible and keep your focus on doing your job. Of course, he recognizes that’s easier for some than others. He also acknowledged that no two situations are the same. These days, he said, it’s pretty easy for him to “block out a lot of stuff.” Earlier in his career, that wasn’t the case. He recalled being unhappy with his playing time in Dallas and actively seeking and hoping for a trade away from the Mavericks. Veteran forward and former star Vince Carter had to remind a young Crowder that he needed to keep working hard in the interim. The Jazz have three games left until the All-Star break. Tonight comes the first of four matchups with Phoenix this season. The Spurs will be here on Saturday for a rare afternoon game (tipoff is set for 3 p.m.). And then, next Tuesday, the Jazz will visit the Warriors in Oakland.